As I mentioned to you last week I recently became a Young Living Essential Oil Independent Distributor-I’m absolutely in love with incorporating Essential Oils into my daily routine and eliminating manufactured chemicals from my home. One of my biggest irritations especially in the winter is having a hard time keeping my lips moisturized. 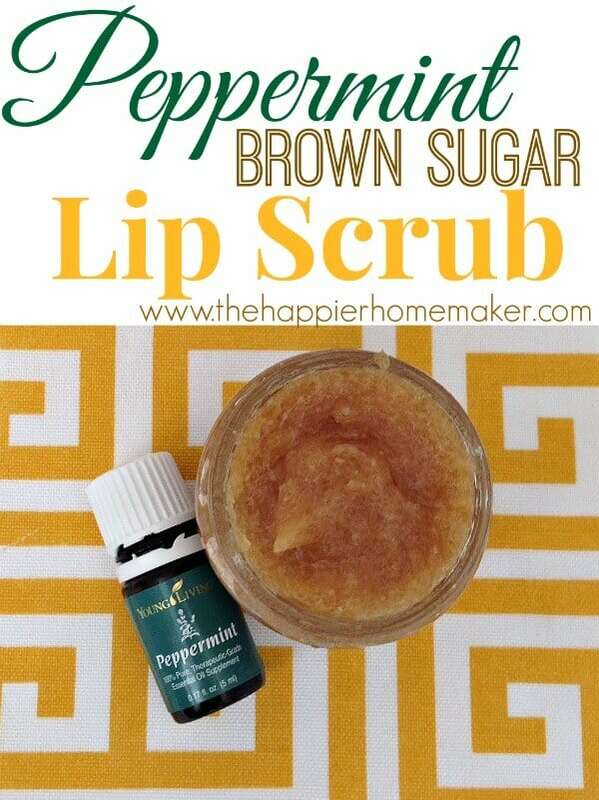 I hate when my lips get chapped or flaky so I like to use a lip scrub to keep them in tip-top shape. I recently came up with a recipe for a homemade lip scrub using essential oils that I love so much I knew I had to share it with you!! It’s super easy to make and one batch lasts forever. Mix all of the ingredients in a small bowl and store in a glass container-I use a medium sized baby food jar and this recipe fills it perfectly! Feel free to change your essential oils to suit your taste but I don’t recommend using brands other than Young Living because you will be putting this on your mouth and many brands other than Young Living are not suitable for ingestion (Young Living oils are therapeutic grade.) I personally like the minty flavor of the peppermint but citrus would be great too I think! I’ve always wanted to make my own scrubs, just never knew where to buy essential oils. This is a great tutorial! This sounds wonderful! Bet it leaves your lips all soft and tingle. With the cold weather my lips have been really dry. 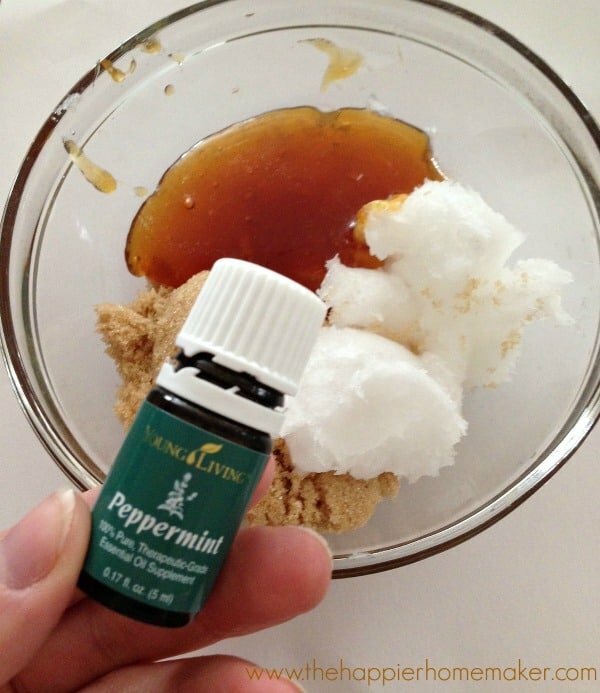 I need to get me some peppermint essential oil, so I can try this. Thanks for sharing your recipe! I need to use it all the time, I tend to have super dry skin and my lips chap very easily! If you need to order a Young Living peppermint oil give me an email, make sure you get something high-quality since it will be on your lips! Jeez, thank you so much for posting this! It is gonna be so helpful when I research Organic Baby Food at the grocery store! Very Great! Hi there! I made this for Christmas gifts but I’m having a hard time keeping the coconut oil in liquid form. It stays on top and is solid in the little jars. What can I do? I made this scrub and I was wondering if it has to be refrigerated? Also how long will it last before spoiling? Because it made a ton and I don’t think I’ll be able to finish it even if I use it daily for awhile?